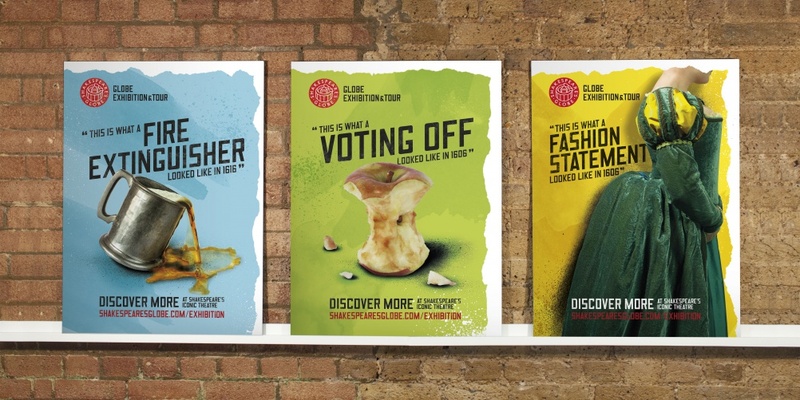 Embrace consultancy has designed an advertising campaign for the Shakespeare’s Globe Theatre, Southwark, London. It has been created to raise awareness of the company’s exhibition and tour, which looks at the life of the playwright. “The tour guides were the main inspiration for the designs as they tell their stories in such relatable ways, which is why we used speech marks in our design,” says Lora Osmond, senior designer at Embrace.